To evaluate the long-term surgical outcome of patients with consecutive exotropia. Patients who underwent surgery for the treatment of consecutive exotropia between January 2008 and July 2016 with a minimum follow-up period of 2 years were retrospectively reviewed. Surgical outcomes were classified based on postoperative angle of deviation at 2 years as follows: success (esodeviation ≤ 5 prism diopters [PD] to exodeviation ≤ 10 PD), and recurrence [exodeviation > 10 PD]). Postoperative angles of deviation at 1 week, 1 month, 6 months, 1 year, and 2 years and at the final follow-up were investigated. A total of 37 patients (28 in the success group and 9 in the recurrence group) were included. 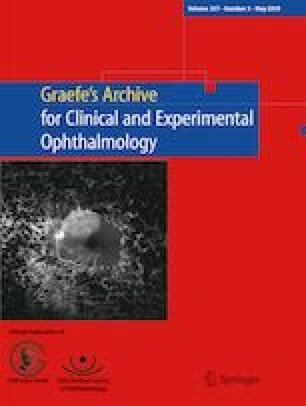 Surgical success rate at 2 years was 75.7%, and reoperation rate was 10.8% during a mean follow-up period of 42.4 ± 18.3 months after consecutive exotropia surgery. After surgery, exodrift occurred mostly during 1-month follow-up in both groups, and those with no exodrift within 1 month presented a higher surgical success. Thereafter, patients in the success group showed a more stable course during follow-up than those in the recurrence group. Stereopsis was an important factor associated with surgical outcome. Exodrift occurs mostly within 1 month after surgery for consecutive exotropia. Targeting initial overcorrection and establishing esodeviation at postoperative month 1 is important to achieve successful results. This work was supported by the National Research Foundation of Korea (NRF) Grant funded by the Korean Government (MOE) (No. 2017R1D1A1B03032985). The grant had no role in the design or conduct of this research. For this type of study, formal consent is not required. The Institutional Review Board of Seoul National University Hospital in South Korea granted a waiver of consent for this retrospective chart review study.